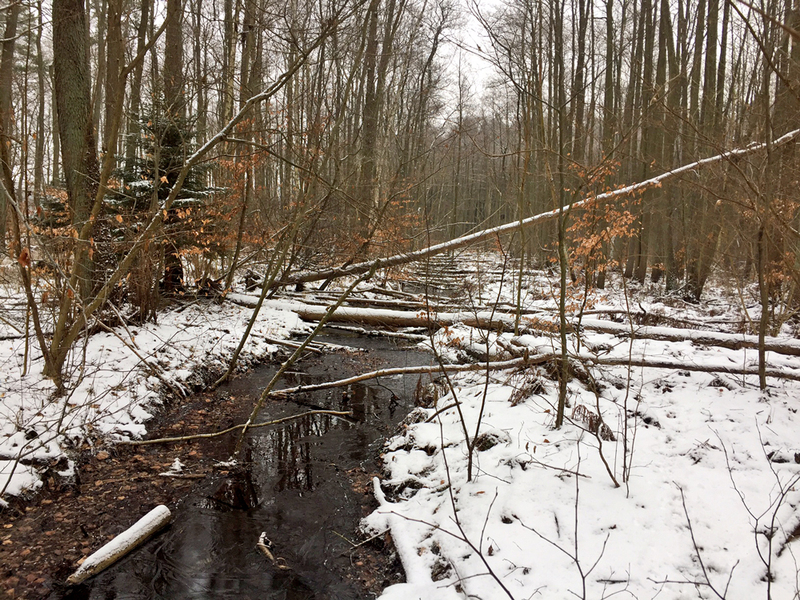 The project sites are located in the nature reserve Biesenthaler Becken, north east of Berlin. The 15.5 hectares of bog forests are drained by ditches, which leaded to peat degradation and migration of pines and beech, which are not typical for peatlands. To raise the water table in the bog forest, bed pitches will be built in some areas. Furthermore deadwood or degraded peat is used to backfill the drainage ditches. On some of the three project sites the ends of ditches will be blocked and clay leadings will be established. 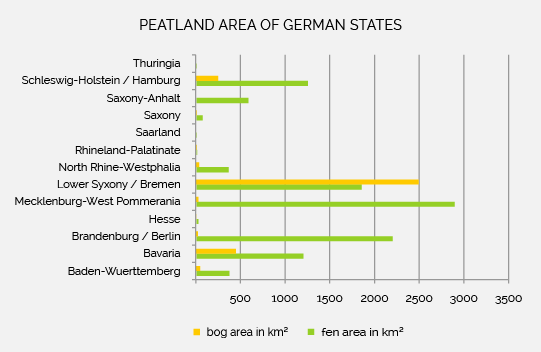 Especially the north and south east of Germany are peatland areas. The majority of peatlands are fens, but also bogs can be found in the foothills of the Alps and in the north western part of Germany, which are today safeguarded in conservation areas . In Germany, around 45 megatons of CO2 equivalents are emitted from bogs every year. 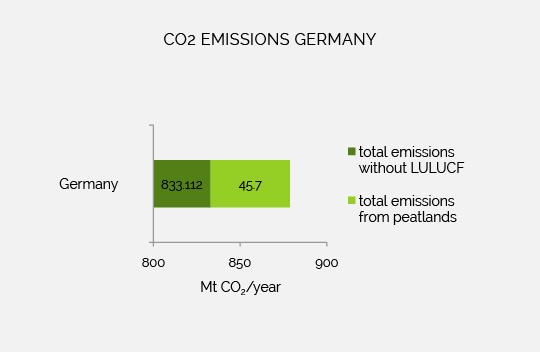 This corresponds to about 5.4 percent of the total German greenhouse gas emissions caused by humans (5), making Germany one of the world’s largest CO2-emitter (3). This can also be seen when looking at CO2 emissions per hectare of degraded peatland. Germany, with 0.90 tons, ranks 11th behind Lithuania (4). Peat from Middle European mires was used since the Bronze Age as fuel. Due to scarcity of wood, the intense use of peat started in the 18th century in Germany. Especially in the north of Germany peat was won, also for agricultural use for soil improvement and as litter. In the end of the 19th century complex ditch systems were established to drain the land. As a result more agricultural area was available. After the Second World War every piece of land was used, which included grassland and field use on peatlands. The most extensive drainage measures and thus most complex degradation of peatlands were carried out in the 1960s (Hydromelioration), whereby huge amounts of nutrients and climate effective gases were set free (6). Especially the north and south east of Germany are peatland areas. 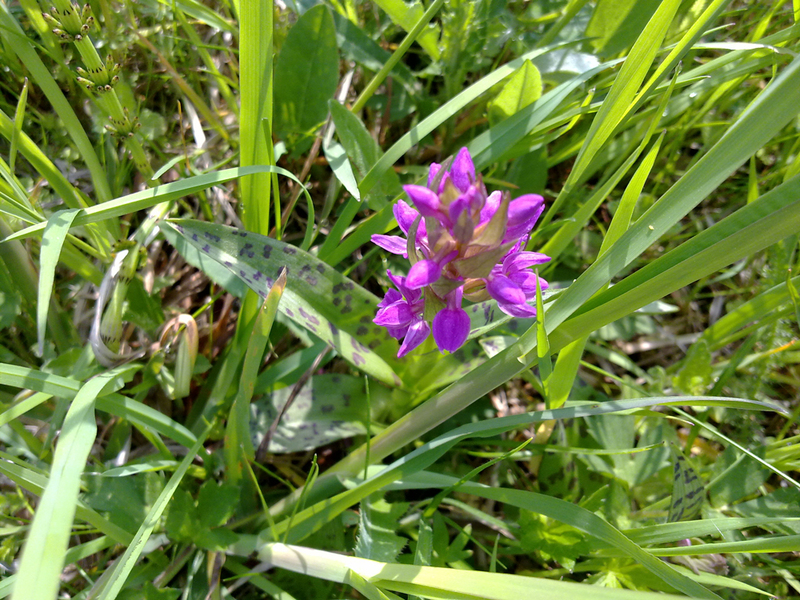 The majority of peatlands are fens, but also bogs can be found in the foothills of the Alps and in the north western part of Germany, which are today safeguarded in conservation areas (1). 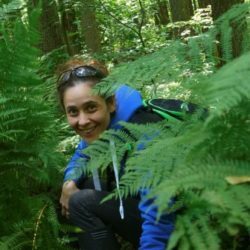 Letícia Jurema has several years of experience in the coordination of projects for an international environmental organisation. She offers skills as lawyer and environmental policy consultant. She is responsible for the international coordination of the project, public relations and policy related issues. 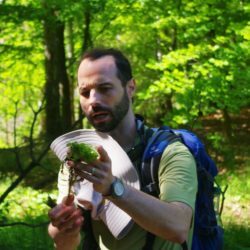 Jonathan Etzold studied Landscape Ecology and Nature Conservation in Greifswald. 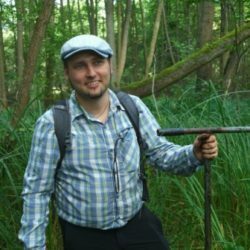 The last 15 years he was involved in projects on sustainable land use and biodiversity protection, mainly in former Soviet countries. He is responsible for national coordination and analysis of the project’s scientific content. Andreas Herrmann holds a degree in Geoecology. He previously worked at Humboldt-Universität zu Berlin in the field of peatland-soils and –hydrology, focussing on greenhouse gas dynamics. He is the project’s greenhouse gas measurements expert. As responsible, NABU (Nature And Biodiversity Conservation Union) coordinates the LIFE project. The measurements on the project sites in Biesenthaler Becken are realized by the NGO, too. Founded in 1899, NABU (Nature And Biodiversity Conservation Union) is with 620,000 members and sponsors one of the oldest and largest environment associations in Germany. NABU operates at the national and international level, at which peatland conservation is a meaningful field. 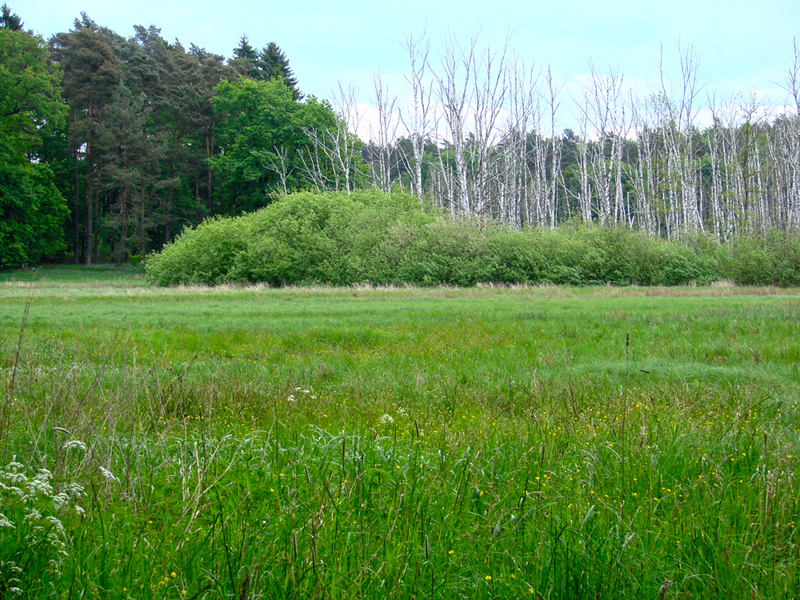 In 1908 the first peatland area was bought and since then protected by NABU foundress Lina Hähnle at Federsee in Baden-Württemberg. With many long lasting projects of the NABU groups and National Associations NABU intensifies it’s efforts to preserve and restore peatlands. Since 2011 restoration measures in more than 12 project areas were financed by the German Peatland Conservation Fund. By means of the International Peatland Conservation Fund and in cooperation with international partners, pilot projects and innovative approaches for restoration and conservation of peatlands are promoted, like the LIFE Peat Restore project. As the coordinating beneficiary, NABU is responsible for the entire project management. As a Co-Financer, the Barnim district administration takes part in the implementation of the LIFE Project. Couwenberg, J & Joosten, H. (2001): Das Beispiel Deutschland. In: Succow, M. & Joosten, H., Landschaftsökologische Moorkunde. Schweizerbart Science Publishers, Stuttgart. p. 409-411.